How can I setup auto reply? If you are on vacation or a business trip it can be very helpful to your customer if they are informed that you are out of the office and can't reply quickly to their e-mails. You can easily setup auto reply for your e-mails. 1. 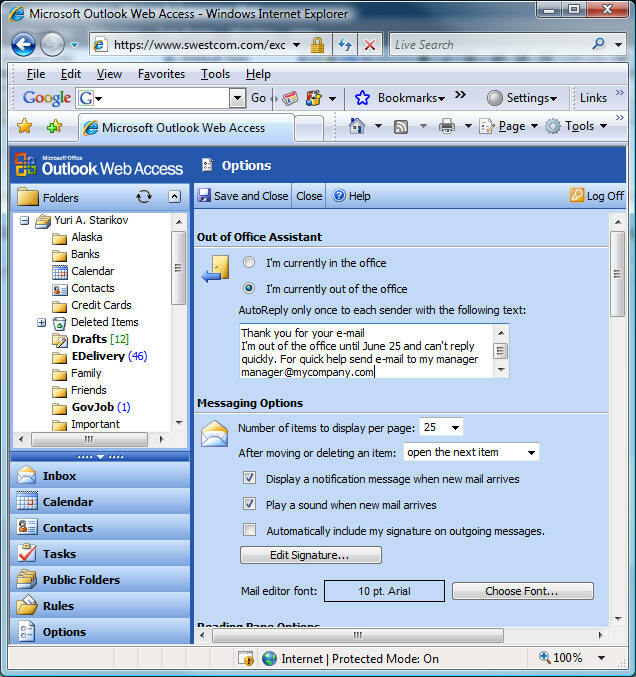 Run Outlook Web Access (please, read How can I my read e-mail from Internet Explorer? if you don't know how to do this). Please, remember that when you select "I'm currently out of the office" then to any incoming mail system an automatic reply will be sent. So, when you are back at the office select "I'm currently in the office" to stop auto replies.